After more than 40 years, the Eureka Visitor’s Center on Broadway is slated to close at the end of next month while the city completes a competitive bid process for the service during peak tourist season. Eureka councilmembers voted 4-1 last week — with Councilmember Marian Brady dissenting — not to extend funding after the Greater Eureka Chamber of Commerce’s $110,000 annual contract ends June 30. The city voiced its intention last year to take the bid route — with bids due in June with the selection process expected in August. Any selected operator is required to have the center up and running by January of 2018. The chamber had submitted a $13,500 per month proposal to keep the doors open in the interim, which equates to $81,000 to cover the anticipated six-month gap — a roughly $4,000 a month more than the current agreement. Eureka City Manager Greg Sparks cited budgetary concerns in recommending against a contract extension at the proposed rate and told councilmembers questions had been raised about whether the city “really received significant benefits for the cost” — which led to the bid process. He said he expects several entities to submit proposals. Brady, the lone no vote, said she hoped the city would look to other funding sources — like hotel bed tax funds or going to the Humboldt Lodging Alliance for assistance — to bridge the funding gap and keep the chamber center open in the short-term. She said she didn’t think it would be wise to leave visitors without a place to land for the next several months. “I’m just thinking we are being penny wise and pound foolish,” she said. The chamber has been subsidizing the center’s operations to the tune of $40,000 annually following several years of reduced financial support from the city, according to Chamber Executive Director Don Smullin. 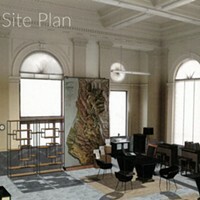 The proposal, Smullin noted in a press release, reflected the true operating costs. “Despite the growth of internet tour planning over the past few years, the Chamber has seen an average of 9,000 visitors each year coming through the doors, distributed 40,000 Eureka Visitor Guides annually, and assisted thousands more with questions via phone and email,” he states. Councilmember Austin Allison said Thursday that one of his main concerns was that the chamber’s proposal was more than the city had allocated to run the center. The city and the chamber thanked each other for the former long-standing partnership in respective releases sent out last week. For more than 40 years, the Greater Eureka Chamber of Commerce has contracted with the City of Eureka to promote economic development, which has encompassed the operation of the Eureka Visitor Center at 2112 Broadway. At the Eureka City Council meeting on May 2, 2017, the Council opted to not extend our contract. The Chamber’s contract with the City expires June 30, 2017, and the Visitors Center will close. The Chamber has for many years been subsidizing the Visitor Center as the City’s contract did not adequately cover the costs of its operation. The Chamber’s extension proposal was structured around the real costs to operate the center. “This highly visible and easily accessible location on Broadway has served as a one-stop shop for visitors coming to Eureka for decades,” Smullin stated. “Despite the growth of internet tour planning over the past few years, the Chamber has seen an average of 9,000 visitors each year coming through the doors, distributed 40,000 Eureka Visitor Guides annually, and assisted thousands more with questions via phone and email,” he added. Chamber Board President Shelley Nilsen noted that the Chamber Board is grateful to the City for its past partnership. “We do believe that some sort of visitor program is important, especially in peak season, and we are curious as to the City’s plan to provide continuity of services during the summer months of 2017 while a new contractor is selected,” Nilsen stated. The Greater Eureka Chamber of Commerce is an organization made up of businesses and individuals concerned about the economic well-being, jobs and the quality of life in our area. Founded in 1891, the Chamber is one of the oldest business organizations in the state and represents more than 500 businesses. In June of 2016, the City Council approved a one year agreement in the amount of $110,000 for Visitor Center services with The Greater Eureka Chamber of Commerce with the understanding that in the next year, the City would open up this service contract to competitive bid. The current agreement ends on June 30, 2017. The City issued a “Request for Proposals” to operate a Visitor Center in March, 2017. Proposals are due in June of 2017 and approval by Council will take place in July. The time frame for opening up a center will not be known until the selection of a vendor from the RFP. 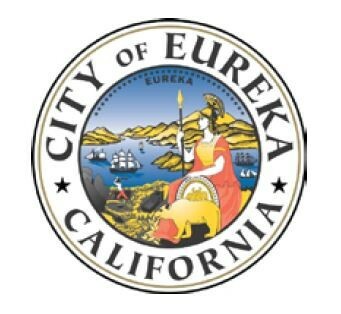 Several local businesses and non-profits have expressed interest in submitting a RFP for the operation of a Visitors Center for the City of Eureka. As the current contract with the Greater Eureka Chamber of Commerce expires on June 30th, there will be a gap in service between the 30th and the time when the awarded Visitor Center begins. To serve that service gap, the Chamber of Commerce submitted a proposal to the City for $13,500 per month for a total of $81,000 for the six month period. Chamber of Commerce Vice President, Dave Hull explained to the Council during the May 2nd meeting that the increase in cost was based on actual cost to operate the Center and that the Chamber needed a 6 month agreement. The Council expressed the City’s appreciation to the Chamber for its long-time agreement with the City for the operation of the Visitors Center. However, due to the increase in cost and the impact to the City budget, Council voted 4-1 not to accept a proposal by the Greater Eureka Chamber of Commerce to operate the Visitor’s center on an interim basis from July 1 – December 31, 2018. The City of Eureka values the Greater Eureka Chamber of Commerce and its service to the City of Eureka. The City of Eureka continues to support the Chamber of Commerce with a land use agreement for their building which allows the Chamber to continue to operate at their current location until 2030. The City appreciates the Chamber of Commerce’s commitment to local small businesses and the economic development of Eureka.